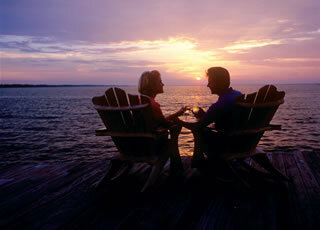 “A perfect romantic getaway” has a different meaning for every couple. To some the definition of romance is a walk along a pristine beach with warm waves lapping at bare feet. 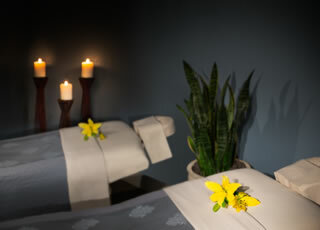 Others might prefer luxurious spa treatments for two followed by sharing an exquisite meal by candlelight. And some couples expect all three – and more – in a romantic vacation. These are the types of couples who choose Hilton Sandestin Beach Golf Resort and Spa — and they come back, time and time again. Few couples are immune to the lure of the sea when it comes to romance. At our Florida beach resort, they can enjoy it to the fullest – swimming in the emerald-green Gulf of Mexico, napping side-by-side on soft white sand under the shade of a beach umbrella, or sea kayaking and stand-up paddle-boarding in crystal clear waves. 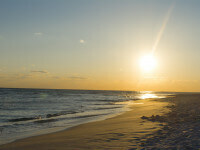 Our Destin beach resort is located along a stretch of coast known to be one of the world’s most beautiful. So even if you don’t step foot in the Gulf, you can still enjoy the striking beach views from your room’s private balcony, our huge waterfront deck, or from our beachfront bar or restaurant. After all, few views are quite as romantic as a sunset over sparkling water. 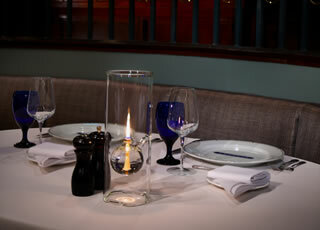 How convenient that our fine dining restaurant, Seagar’s Prime Steaks & Seafood is one of the state’s best. Destin’s only (and Northwest Florida’s first) AAA Four-Diamond steakhouse offers an elegant and romantic dining experience that couples staying here shouldn’t miss. A traditional New York-style steakhouse, Seagar’s offers amazing food, a soothing ambience and unparalleled service — including captain service, sommelier service and tableside preparations. 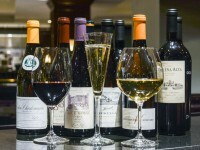 The restaurant boasts a 600+ label wine list that’s won the “Best of Award of Excellence” from Wine Spectator magazine for 12 consecutive years. At the world-class Serenity by the sea Spa, voted one of Condé Nast Traveler’s “Top 100 Spas in the U.S.,” men and women can indulge in treatments designed to relax, rejuvenate and even revive romance. Guests opting for a full- or half-day customizable spa package can choose from a long list of facials, body treatments, massages and any salon service imaginable. Our popular Couples Massages, during which our skilled massage therapists work on both of you at once in a room reserved for side-by-side treatments, is a great bonding experience that will leave you starry-eyed. The spa also features separate men’s and women’s areas with whirlpools, saunas, steam rooms and lounges. At our Spa Shoppe, you can purchase your favorite products – including Pure Fiji and Phytomer brands, plus the double-layer, microfiber robes that our guests love so much – to recreate your experience at home.